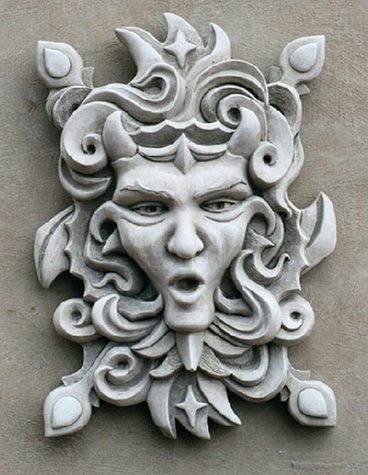 Chaos – "Fine sculpture for every environment"
This sinister looking fellow is by far our most popular grotesque. He is done in the French gothic style. His face emerges from the swirling madness like a specter from the unknown; both terrifying and compelling. This is one of our most original designs; you’ll find nothing else like him anywhere.